In his new book, Fascism, Roger Griffin observes that the first people to write seriously about the far right were Marxists. This is true, but when thinking about Britain it is insufficient. Here, the first anti-fascists of any stature were not just socialists, they were also women: Ethel Carnie Holdsworth and Ellen Wilkinson. Here I will describe Holdsworth, a later piece will be dedicated to Wilkinson. Ethel Cranie Holdsworth had worked as a spinner in the Lancashire cotton industry from 1897, when she had been aged just eleven. By the time she was thirteen, She was working full-time. Holdsworth later wrote poetry, children’s stories and published ten novels, including Miss Nobody(1913), a social realist romance whose themes include trade unionism, tramping, and gender politics in the family, and Helen of Four Gates (1971), which was turned into a successful silent film. Holdsworth is sometimes described as this country’s first working-class women novelist. Her fiction was feminist: there are men in her books, and relationships, good and bad. But the action is resolved by the decision of women. Holdsworth’s contacts ranged across the left: born into a Marxist family, she wrote for the Labour Party press and for the anarchist journalFreedom, where in winter 1924 she added her name to an early demand for the closure of Solovetsky prison, which held a number of the regime’s left-wing critics. 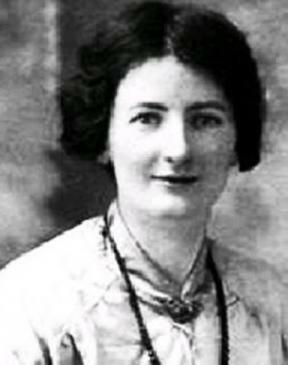 Between 1923 and 1925, together with her husband the poet Alfred, Ethel Holdsworth edited The Clear Light. It was a one penny paper, whose message was that the left needed to unite against capitalism, militarism and religion. The paper was sold principally in Yorkshire, although some issues name sellers in Scotland and in London. Other contributors included William Holt, a Communist from Todmorden, and the anarchist feminist Rose Witcop. Holdsworth was sympathetic to the Labour Party but skeptical of the actual Labour government that was formed in 1924, on a modest programme, and with a number of non-Labour ministers. Anti-fascism became a central theme of The Clear Lightonly in the paper’s second year’ Holdsworth was disturbed by the support of the British royal family for Mussolini, as well as signs of fascist organizing in nearby Leeds. In summer 1924, The Clear Lightannounced its support for the National Union for Combating Fascism (NUCF). Holdsworth explain that fascism was a movement of exclusion and slavery, the opposite of democracy. She noted that the Duke of Northumberland, one of Britain’s wealthiest coal plutocrats, had gone over to fascism. The NUCF had not been founded by Holdsworth but by Eric Burton Dancy, an activist in Chiswick. Having heard of his nascent campaign, they threw their weight behind it. The Clear Light urged its readers to join the NUCF, publishing the group’s membership form and with them the famous concluding words of Shelley’s poem The Mask of Anarchy: ‘Ye are many – they are few’. The paper printed lists of fascist atrocities and an extract from the murdered socialist Matteoti’s The Fascists Exposed. Holdsworth was at times despairing, warning in one article that most workers in Britain were blithely unconcerned with the fascist threat. Indeed, her sense of foreboding grew more intense with the plainly faked Zinoviev letter, and the success of the right-wing fringe in toppling the first Labour government. Fascists threatened The Clear Light’s printer, William Ackroyd. The July 1925 issue of the newspaper featured a number of recent successes: new NUCF branches being established in Burnley and Holdsworth. There were also urgent appeals for funds. The issue turned out to be the paper’s last. We can only speculate about why The Clear Light was shut down: it seems that Holdsworth was living on the proceeds of her books and films, using them to subsidise the paper. The paper’s writers came from a narrow group, and it was competing against the better financed publications of the Labour and Communist parties. The message of anti-fascism did not yet have a mass appeal; Holdsworth’s enemy the British Fascists recruited principally in an aristocratic milieu far way from their socialist opponents. The BF’s moment in the public eye – the General Strike – was still a year away. And its success, when it was obtained would be short lived; involvement in strike-breaking, working alongside the Conservative Party, caused the BF to split with a majority returning to the Tory fold. At the same time that Holdsworth was drifting away from the anti-fascist movement, she was finishing her boldest novel,This Slavery (1925). This uses the setting of a city besieged by mass strikes, the attempts by socialists and syndicalists to foment mutinies among soldiers, and the poverty of people living on nothing better than ham bones and potato peelings. It describes the part played by working class women in leading the people around them into struggle. Holdsworth’s politics lived on beyond her involvement in the campaign. She left an anti-fascist legacy in the mill towns: nearby Nelson would be an epicentre of the conflict between fascists and anti-fascists in the 1930s.